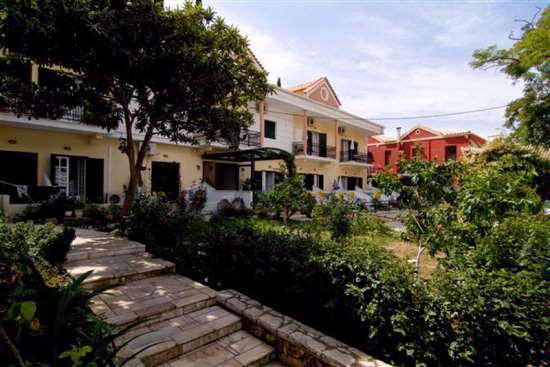 Welcome to Rosanea, 21 beautiful self-catering apartments in very good location. 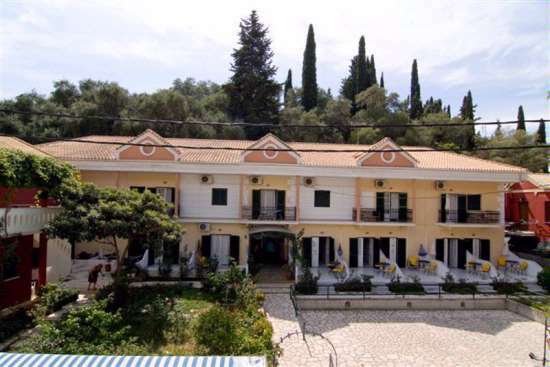 This family-run apart-hotel, licensed by the Greek National Organisation of Tourism, offers clean and comfortable accommodation less than 20 metres from Krioneri, the sandy town beach and less than 3 minutes walk from the harbour of Parga. Nestled into the hill, with olive and cypress trees behind and a pleasant garden, this is the ideal base for a relaxing vacation, or to explore the many archeological and natural beauty spots of Epirus. Accommodation consists of either studios for 2 people, or studios for 3 people (extra bed is a camp bed), also 1 bed apartments for up to 4 persons with a twin bed in a separate bedroom, a kitchenette with a single bed and extra bed is a camp bed. 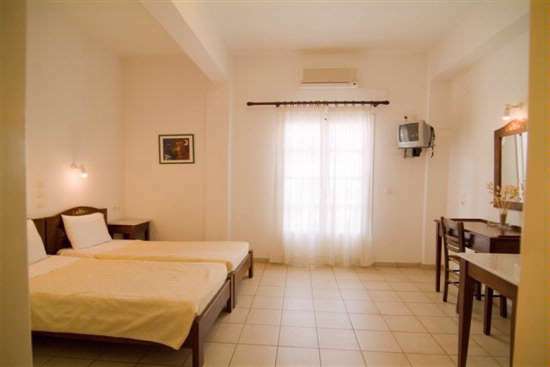 All rooms have a shower room, a spacious private balcony and kitchenette facilities. Air conditioning (payable locally), satellite TV and safety deposit box (payable locally). Six of our studios can be transformed into family apartments using secure inter-connecting doors. Reception service, baby cots available on request and parking available.